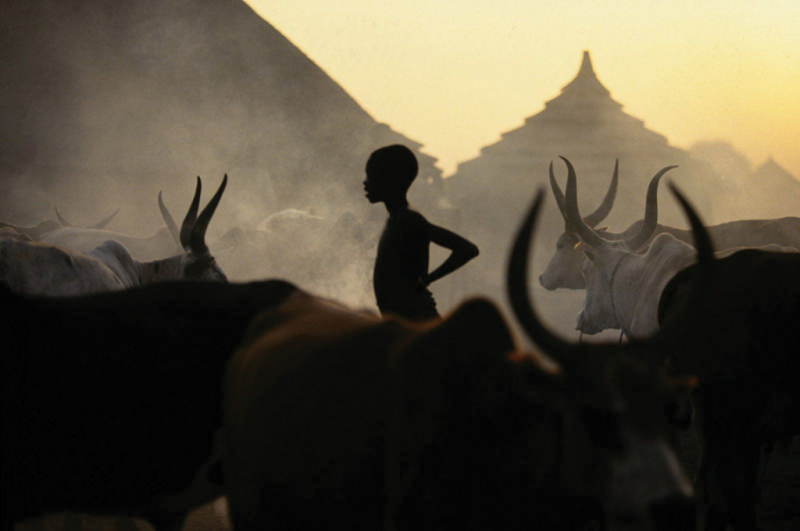 When I took this photograph I was on a UNICEF assignment to southern Sudan to find out how the Nuer, a cattle people, were faring during Sudan’s protracted civil conflict, which ended in 2002. Some families still had small herds of their distinctive, long-horned cattle. This photograph, taken at sunset, provided some hope in a war-torn, but otherwise beautiful land. Betty Press is an adjunct Professor of Photography at the University of Southern Mississippi. She is best known for photographs taken in Africa where she worked as a freelance photojournalist in the 1990’s. She has captured an honest, respectful portrait of its people and culture in a long-term project “Africa in images and proverbs”. Now living in Hattiesburg, Mississippi, she continues to photograph in Africa as well as in Europe, Latin America, and Mississippi. Her photographs have been widely exhibited, collected, and published. She is represented by, among others, Panos Pictures, London; Photographic Image Group, Portland, Oregon; International Visions Gallery, Washington, DC; African Museum of Modern Art, Nairobi, Kenya. Selected by Carol McCusker, Curator of Photography at the Harn Museum of Art.